Teaching Primary Geography is structured around the requirements of the latest version of the UK national curriculum for KS1, Lower KS2 and Upper KS2. 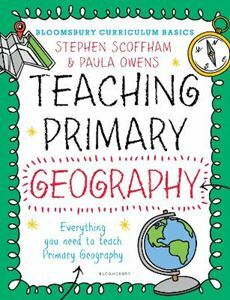 By providing a succinct and accessible overview to over 30 geographical topics, it meets the needs of practitioners across the country and provides a single reference point for informed and creative geography teaching. Each topic includes three engaging lesson plans for practitioners to implement, either in their own classroom or across the whole school in the role of subject co-ordinator, together with features such as key vocabulary, useful links and cross-curricular activities. This book is guaranteed to get pupils involved and actively learning.